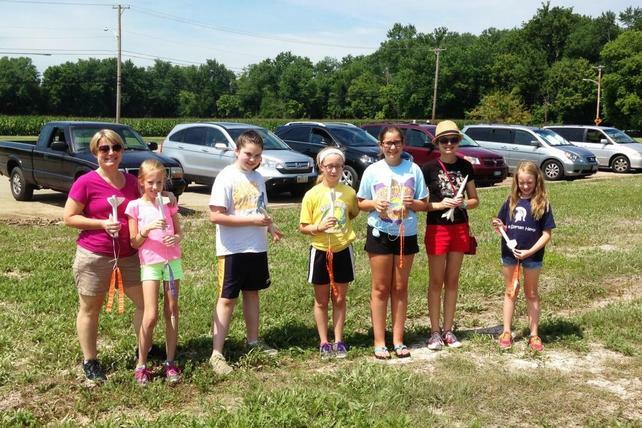 If your group has a desire or an organized activity that involves building and flying model rockets, WSR is ready to help you. We work with Boy Scouts and Girl Scouts, 4H Clubs, JROTC and Civil Air Patrol programs, school science classes and clubs (including universities), STEM organizations, church groups, summer camps, and adult programs. We are also ready to help your Team America Rocketry Challenge (TARC) team with a number of registered TARC Mentors. Contact Randy Boadway, our Senior Advisor, at erockets@rocketmail.com or by phone at 616-460-2678 to get started. We will need to know how many people are participating, the nature of the group (such as the organization you are with and the age range), and where you are located. This will help us choose a model rocket that is right for the participants and their goals. It will also help you set a per-person cost for the model kits and motors so you can distribute this information to your group. Note: We DO NOT charge you for running the build session or the launch. You only pay for the rocket kits and the motors you will be using. This means that you can often keep the per-person cost to around $10-15 for simple rockets! We can then select an appropriate venue for your build session where our members can come to you and assist with building the rockets. We will also work with you to determine if a suitable field for flying is nearby, or we will schedule a group launch at one of our fields. We provide all the ground support equipment like launchers and pads, as well as trained staff to run your launch safely and efficiently. One of our guiding principles is to expand the hobby by reaching out to the public and inviting them to experience rocketry. We believe we can have a positive influence on youth, and we have seen kids who have flown with us pursue education and careers in science and the aerospace industry.